Wellbeing starts everywhere in our hotel. 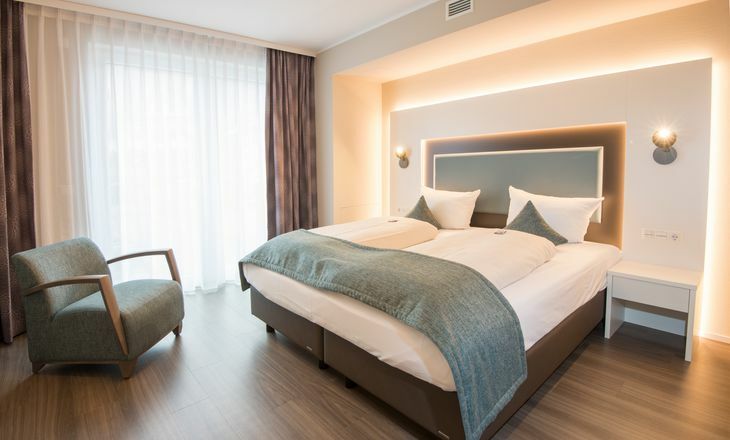 And your room in Freiburg is your own personal space and even more it is your comfortable home away from home at the Stadthotel Freiburg – Kolping Hotels & Resorts. 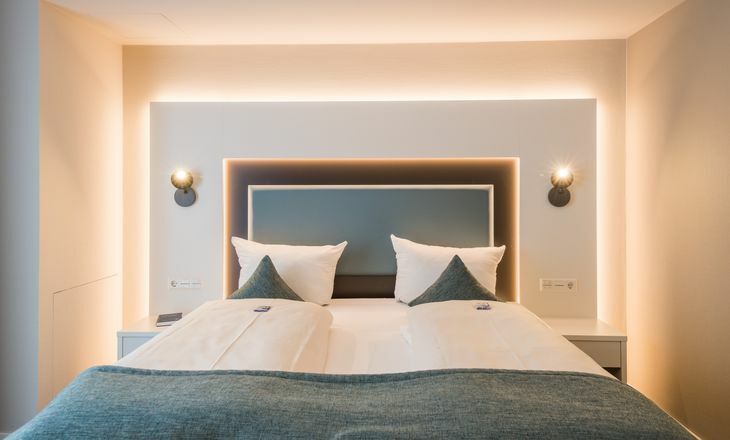 All of our rooms are equipped with a designer interior and flat-screen TV, WIFI, telephone, minibar, safe, a bathroom with a rain forest shower, and carpet or parquet. 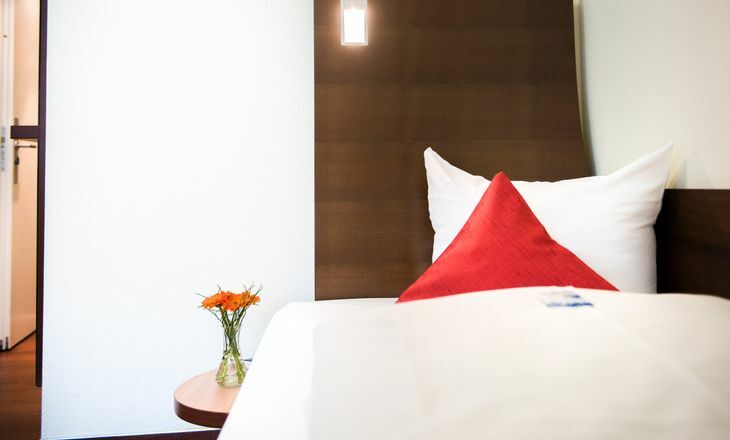 Our rooms in the "Economy" category offer all the amenities you need for a comfortable stay. The rooms are equipped with minibar, safe, rainforest shower, flat-screen TV, free WIFI, parquet flooring, hairdryer, Satellite TV, direct-dial phone. 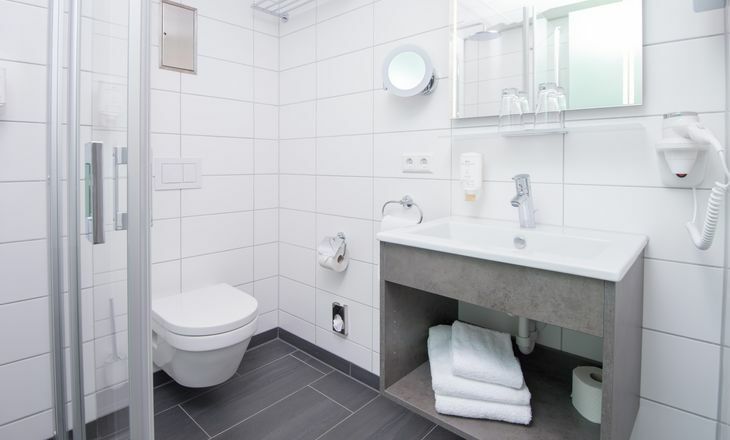 The attractive rooms in the "Superior" category offer all the amenities you need for a comfortable stay. The rooms are equipped with minibar, safe, rainforest shower, flat-screen TV, free WIFI, parquet flooring, hairdryer, Satellite TV, direct-dial phone. Our elegantly equipped rooms in the "Comfort" category offer all the amenities you need for a comfortable stay. The rooms are equipped with minibar, safe, rainforest shower, flat-screen TV, free WIFI, parquet flooring, hairdryer, Satellite TV, direct-dial phone. 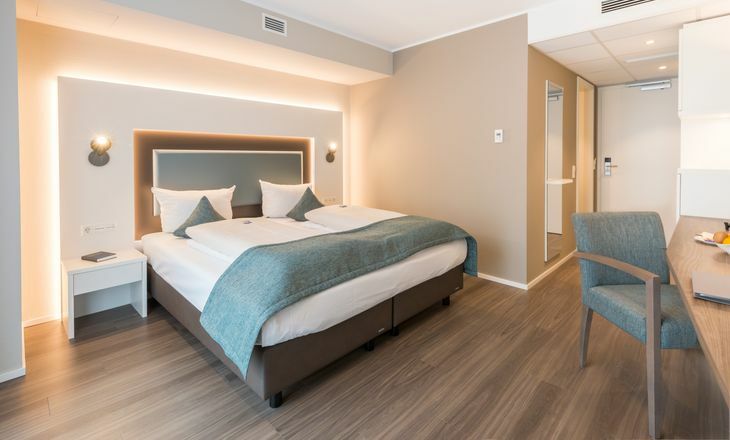 Our spacious rooms in the "Deluxe" category offer you lots of room for a relaxing stay. 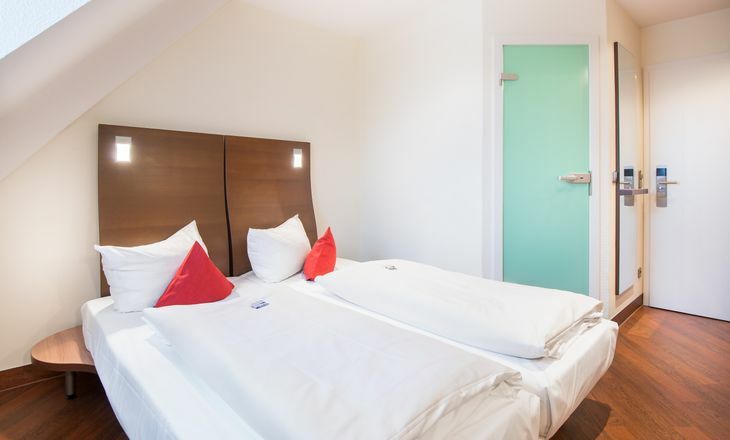 The rooms are equipped with minibar, safe, rainforest shower, flat-screen TV, free WIFI, parquet flooring, hairdryer, Satellite TV, direct-dial phone as well as a large bathroom with shower or tub. 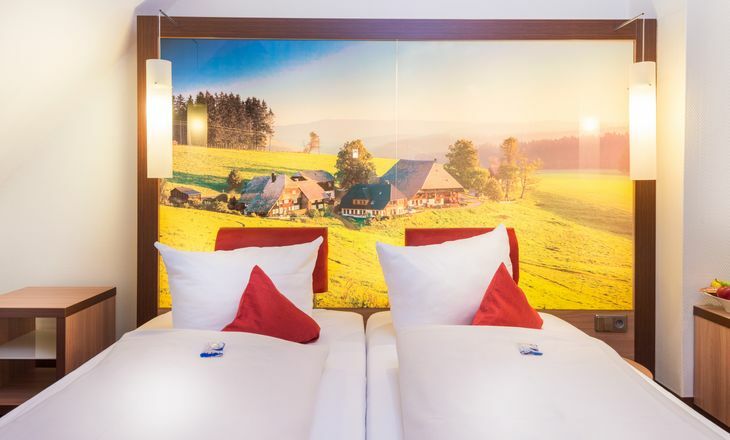 Everything you need to make your city trip delightful in included in the price of your stay at the Stadthotel Freiburg – Kolping Hotels & Resorts. Use WIFI in your room and the entire house. Leave your valuables in the room safe. 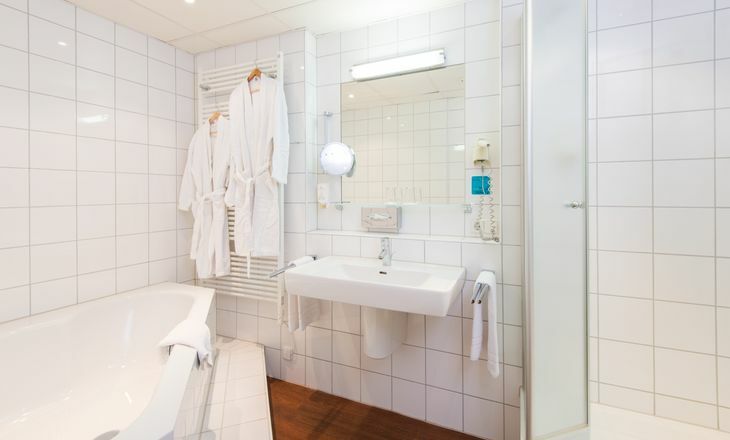 We will be happy to provide you with a bathrobe for the duration of your stay upon request. We will be happy to give you tips for excursions in and around Freiburg. City maps are available at the reception desk. Feel free to use our library if you feel like reading. Allow yourself peaceful moments in our room of encounters which can also be used as a chapel. On top of that we are fully flexible. 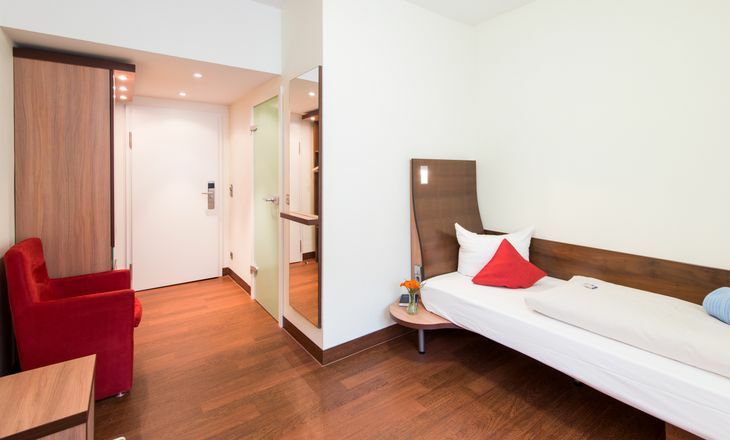 Great for your business trip or your vacation in Freiburg. 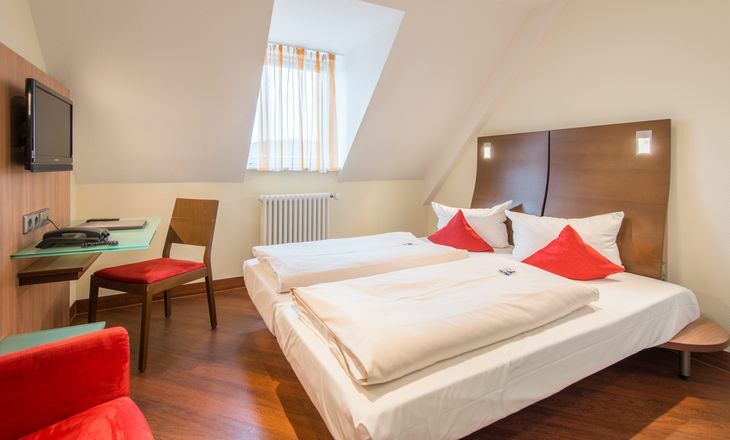 Our city hotel Freiburg is located right in the center of Freiburg. 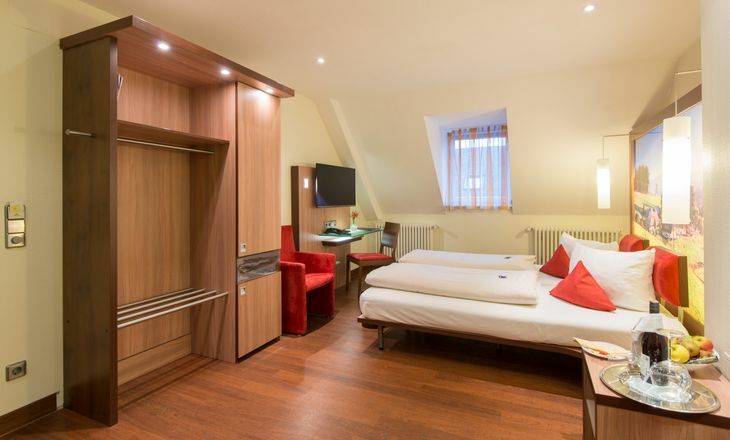 In just a few minutes you reach the historic old town of Freiburg with all attractions, places to visit, restaurants and cafes. 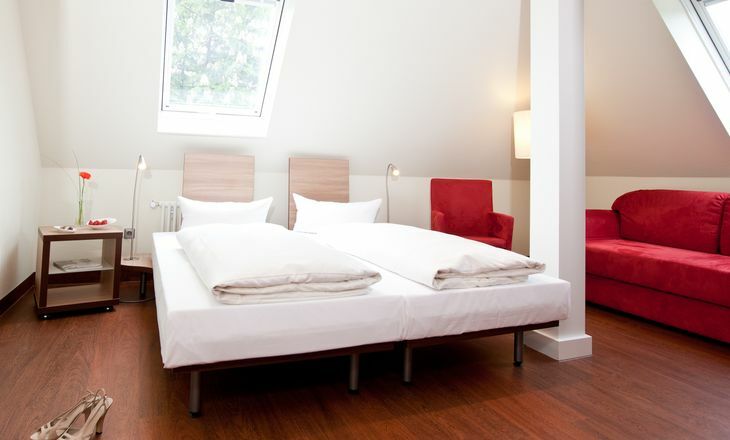 For questions about the rooms, junior suites and our offers, feel free to visit a Carmen Steppe.